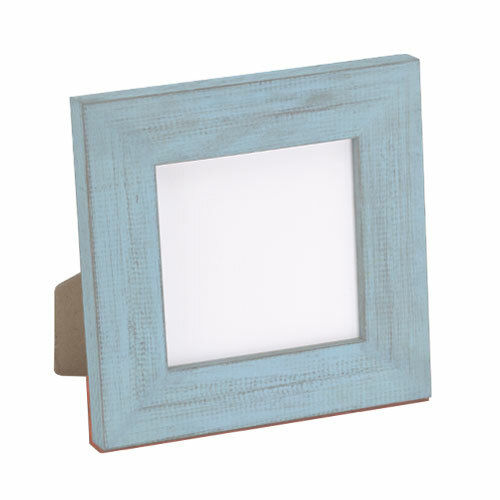 Transform your space with this rustic light blue picture frame. 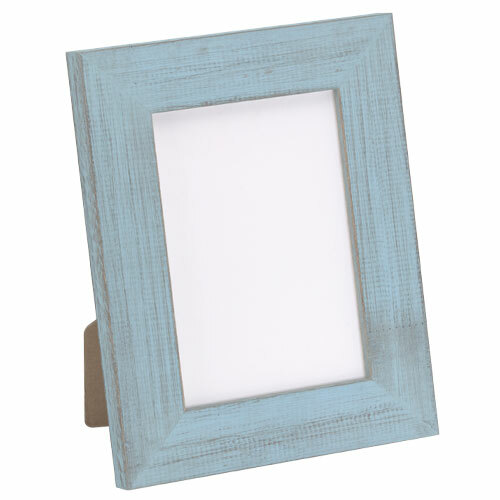 Its simple, squared profile and distressing make this a charming photo frame, kid’s art frame or Instagram frame. Handmade by our Artisans from natural wood grown in sustainably managed forests, it’s an eco-friendly choice you can be proud of! Available to you in popular ready-made sizes. 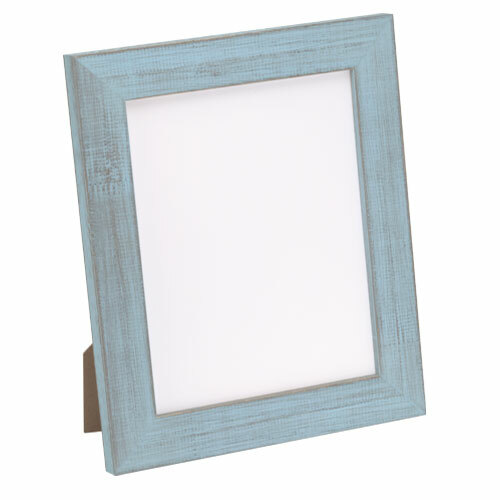 I would like to order at least 24 of these shabby chic frames. Would like several different colors. Would there be a break in price if ordered this many? BEST ANSWER: Hello Sarah! Thank you for your inquiry. We are more than happy to give you a discount on a quantity of 25 frames. Please give us a call when you are ready to proceed with the order. We can be reached at 1-800-332-8884. Thank you for your inquiry! Can this frame also be hung up? BEST ANSWER: Hello Patti! 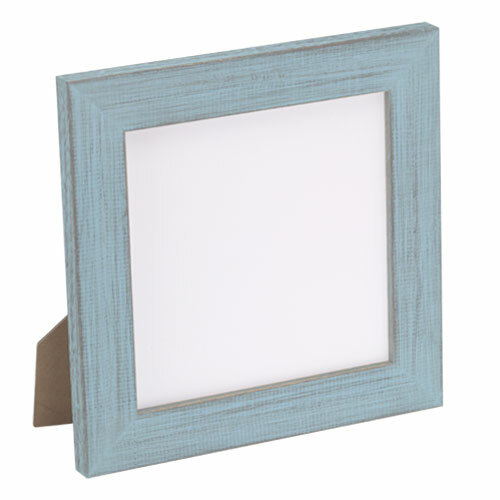 These beautiful frames are designed to be displayed as a table top and cannot be hung on the wall. The easel would be in the way of the frame laying flush on the wall. Please let me know if you have any additional questions. Happy Framing!